Awhile ago, I was driving down the highway when a billboard caught my attention, “Eat What You Crave” it said in large, large letters. Next to it was photo of a hamburger. It had three or four huge hamburger patties and bacon. You could see the grease dripping off of it. As I zoomed by, I could tell that hamburger was at least 1,000 calories. 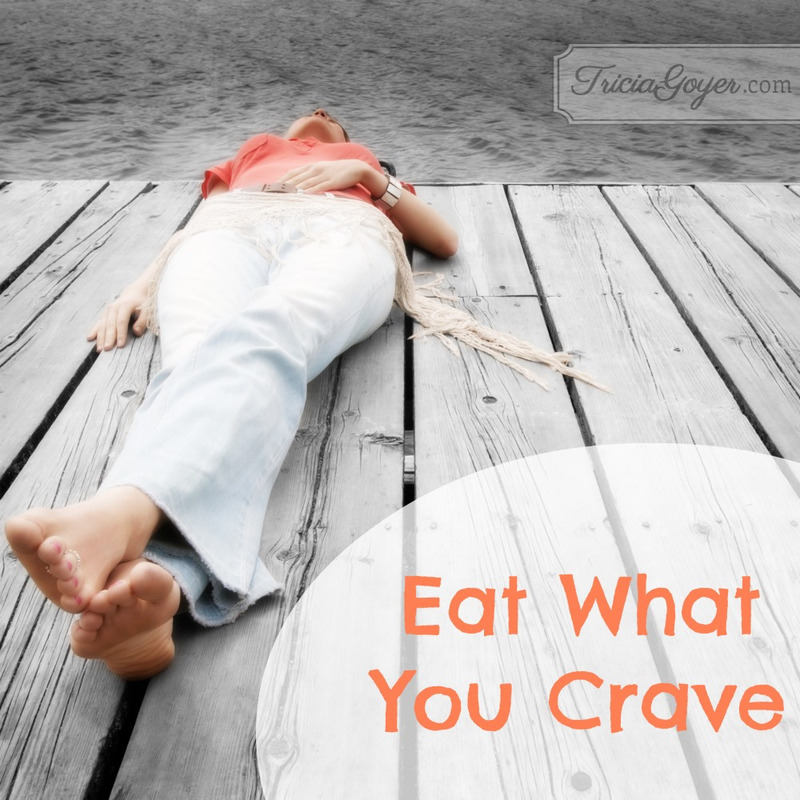 “Eat what you crave.” Isn’t that what all the billboards, magazines, and commercials tells us? We don’t need to worry about the consequences, we just need to feed that craving–that hunger. We don’t like to think about that, do we? We like to dress up, curl our hair, put on make up, and wear our cutest outfit. We like to look good on the outside, hoping people won’t see what’s on the inside. They won’t see what’s in our hearts. They won’t see what our cravings are. For years I struggled with cravings. I over-spent, over-ate and longed for things I shouldn’t have. There would be guys that drew my attention. There were memories with past boyfriends I’d want to replay in my mind, but there’d also be the cute guy at church that smiled and said hello, his eyes holding mine an extra few seconds. The truth is, sometimes I withheld. Sometimes God did come down and help me in a miraculous way, but a lot of times the cravings still lingered. Maybe I wasn’t praying hard enough or wasn’t praying the right things. I would get up early in the morning and read my Bible. I would write in my journals about these cravings and about my struggles. I was praying to God, but not really thinking of Him being there with me every moment. Things started to change when I began to understand my relationship with God was centered on a person–the person of Jesus Christ. He’s a person who’s with me all the time. He’s a person who faced temptation and who no doubt had cravings. I didn’t need to pray to God. I needed to fill my life with Jesus. When I read the Bible I started thinking about Jesus being right there with me, lifting me up and speaking to my heart. Throughout the day I would talk to Him and sing praises to Him. I would cry with Him when I saw people in need. I would rejoice in Him when I saw my friends receiving blessings. Jesus became more and more important to every aspect of my day. And you know what? As I filled myself up with Him, I stopped craving. Okay, I didn’t stop craving completely. I have to admit a hamburger does look pretty good at times. Sometimes I might even splurge and have one. But the intense cravings and the overwhelming feelings of which I wanted more and more–they became less and less as Jesus filled my life. All of us want to fill the emptiness inside, but the one person who can fill us and give us everything we need–and who can take away those unhealthy cravings as He fills us with himself–is Jesus. I’m still in Africa right now! Please join me in praying for the children in slums around the world and especially in Nairobi, Kenya. Please pray for the provision of the children affiliated with Awana Clubs International. Pray that their needs (emotional, physical, financial, and spiritual) be met. And finally, pray for safe travels as I return home. I identified with you in your cravings and desiring God to remove them. I like what you said about Jesus. He’s the constant companion. You put a picture of it in my mind. I do pray all day but this gives it more flesh. It’s my dreams that keep haunting me about past relationships. I will need to conscientiously pray before going to bed to allow God to control my dreams. Thanks again for your openness and what God has showed you in dealing with these issues!